The Olympic Circus Show is a unique entertainment circus show which was specifically designed, choreographed and coordinated for events leading up to and during the London 2012 Olympic and Para-Olympic games. The circus show consists of a mix of some of the UK’s top entertainers and consists of different genres such as ground acrobatics, aerial performance and street sports artists. 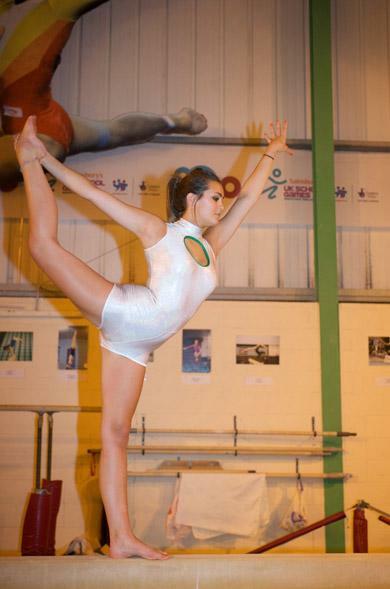 Delia is one of the main performers in the circus show and performs hula hoop, acrobalance, aerial and contortion. Most of the Olympic Circus shows can be performed both indoors and outdoors. There is also the option to choose just a few acts from the package, to make a bespoke circus show, to suit your event. 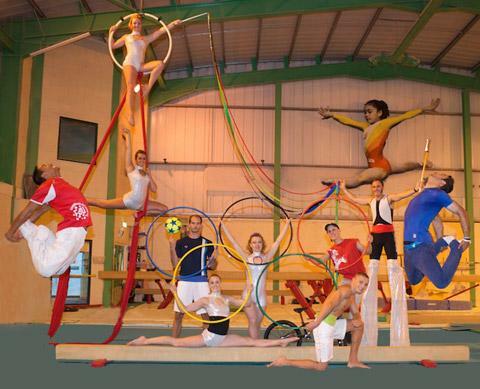 The full Olympic Circus Show package lasts between 10-40 minutes, depending on what best fits your event. Most shows can be performed both indoors and outdoors. Also available is the ‘The Olympic Ring Show’. The show starts with atmospheric music to introduce all four acts, and they will slowly come together with movements, balances and dance. They will perform a group trick at the end of the piece. The show includes contortion, hula hoops, Olympic rings, a ball and ribbon act and gymnastics, to up and down tempo music. The hula hoop girl will then do a grand finale trick with around 20 hoops around her body. 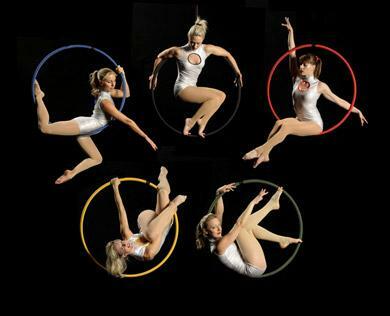 The four girls will then all perform a trick with a hoop and come together to make the Olympic rings symbol whilst all in a final pose. The full duration of the show will be 20 minutes. We absolutely loved Delia. All performers were superb, and it helped make our night an absolute winner. I’ll definitely be coming back to you in the future for other entertainment. That was great. She was very good, and she did well with the elements. She adapted the program to the vibration and to each carriage. I’ve had great feedback from guests who were amazed by Delia. Honestly I have only positive feedback to give you. I thank you and Delia.